George Wright was one of five children and the elder brother of Gilbert Scott Wright who he sometimes combined with on sporting paintings. Like his brother his art was centred on horse, hunting and sporting pursuits. Many paintings were painted grisaille (grey and white) which gives the impression that they were illustrations for books or magazines. 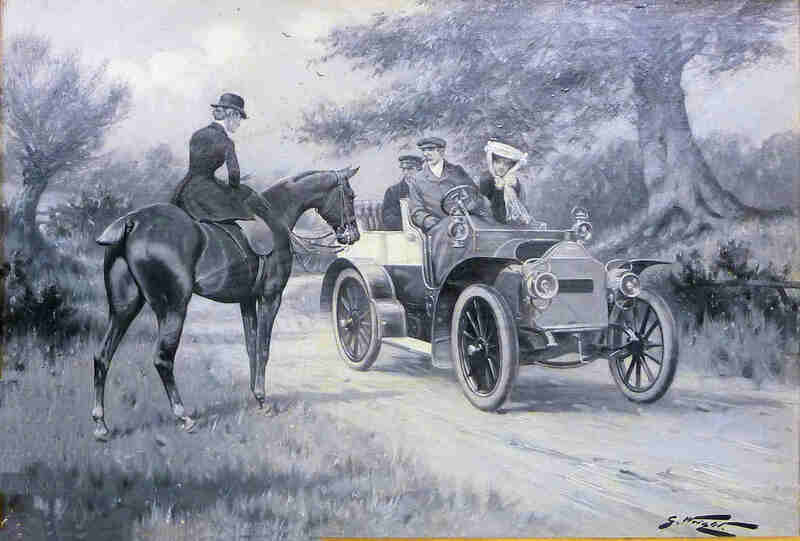 He was known to be one of the best sporting painters of his era so it is not surprising that he combined motor vehicles into his paintings. Horse rider speaking to motorist. 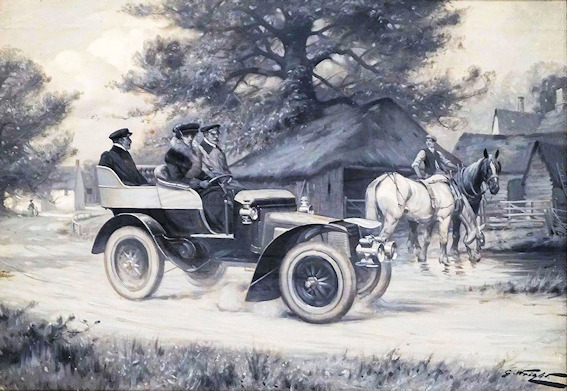 Automobile identified as circa 1905 De Dietrich, thanks to David Burgess-Wise. 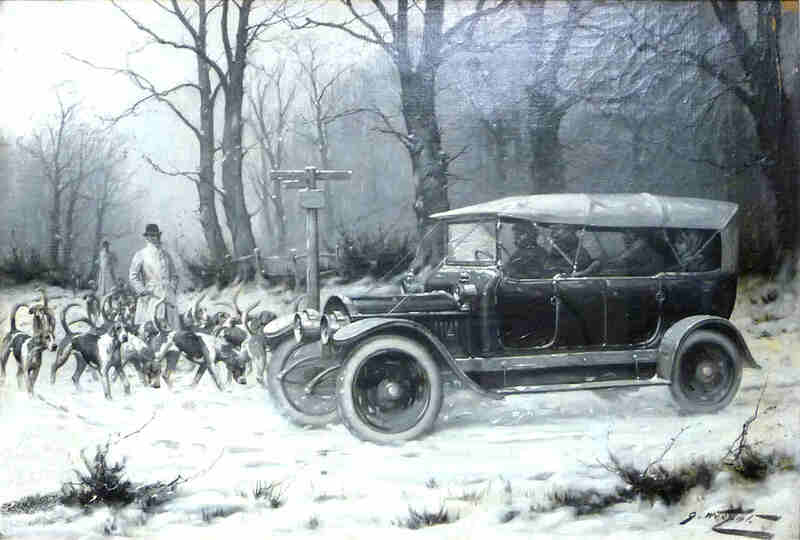 Car and hounds in snowy landscape. Automobile identified as probably circa 1910 Maudslay, thanks to David Burgess-Wise. Early car in driving rain. Automobile unidentified. Hunstman meeting motor car. Automobile identified as circa 1910 Austin, thanks to David Burgess-Wise. 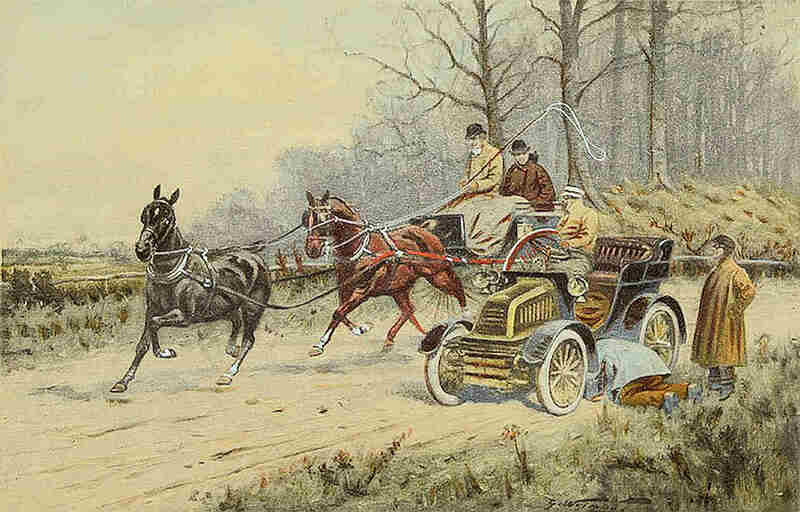 A two horse carriage passing broken-down car. 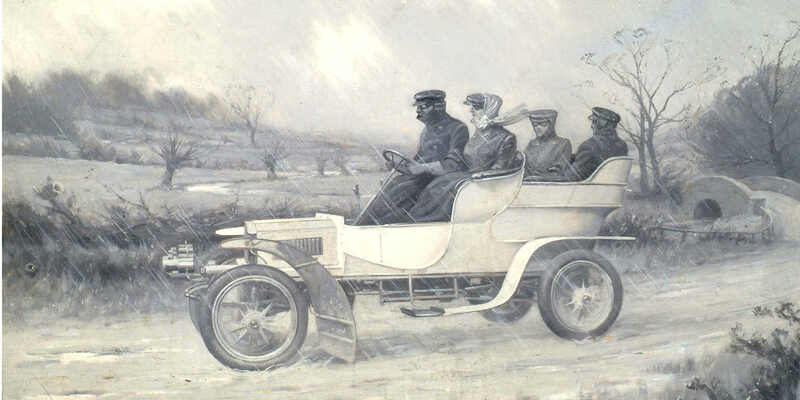 Automobile identified as probably circa 1903 Peugeot, thanks to David Burgess-Wise. Lady driver going through farmyard. Automobile identified as 1903 Daimler 22hp thanks to David Burgess-Wise.